Cornelius J. "C. J." Dyck: professor of historical theology; born 20 August 1921 in Lysanderhoeh, Am Trakt Mennonite Settlement, Russia, to Johannes J. Dyck (16 April 1885, Lysanderhoeh, Am Trakt, Russia - 11 April 1948, Rosthern, Saskatchewan, Canada) and Renate (Mathies) Dyck (2 March 1885, Hohendorf, Am Trakt, Russia - 29 May 1963, Rosthern, Saskatchewan). He was the second youngest of a family of nine children, including John R. Dyck and Peter J. Dyck. Cornelius married Wilma Louise Regier, daughter of Cornelius W. Regier (1882-1973) and Johanna (Funk) Regier (1886-1969), on 12 August 1952 in Tiefengrund, Saskatchewan; they had three daughters: Mary, Jennifer, and Suzanne. Cornelius died on 10 January 2014 in Normal, Illinois, USA at the age of 92. After the communist revolution in 1917, the Dyck family lost most of its land, experienced the famine due to grain requisitions, and only survived because of relief supplies from Mennonite Central Committee (MCC). In the 1920s, Dyck’s father became the leader of a farmer’s cooperative in the Am Trakt settlement, through which he tried to re-establish productive agriculture in the area. By 1927, Johannes Dyck realized that the more left-leaning communists were taking control, and the family immigrated to Saskatchewan, Canada. The Dyck family first settled at Hawarden, south of Saskatoon, and then Tiefengrund, north of Saskatoon where they had better farm land. After elementary and high school education in the Hawarden and Laird areas, Cornelius graduated in 1940 from Rosthern Junior College. During World War II, Cornelius served as a Conscientious Objector (CO) on the family farm. At the end of War, Dyck volunteered for service with Mennonite Central Committee (MCC), serving in England, the Netherlands, and the British Zone of Germany, where he initiated the daily feeding of about 100,000 children in northern Germany with food supplies sent by Mennonites in North America via MCC. From 1949 to 1951, Dyck worked with MCC to assist in resettling Mennonite refugees from Germany and the Soviet Union in Paraguay, Uruguay, and Brazil. One of the achievements he was most pleased about was working with Mennonites in Paraguay to find a location for, and initiate the founding of, a hospital and treatment centre for lepers at Kilometer 81. In 1951 Dyck returned to North America. He became pastor at the Zion Mennonite Church in Elbing, Kansas. In the following year he married Wilma Regier, who came from his home community in Tiefengrund. Dyck was pastor in Elbing until 1955. During these four years he also completed a degree in history at Bethel College in North Newton, Kansas, and a Masters degree in history at the University of Wichita. From 1955 to 1959 he completed a Bachelor of Divinity and a Ph.D. in history at the University of Chicago, while serving as business manager at the Mennonite Biblical Seminary in Chicago. As business manager, he planned and oversaw the seminary’s move to Elkhart in 1958. Upon completing his Ph.D. in 1959, Dyck was appointed to teach historical theology at the Mennonite Biblical Seminary, and taught until 1989 when he retired. He was appointed director of the Institute of Mennonite Studies, the seminary’s research and publishing agency, serving for 21 years. During these years he organized many conferences, encouraged Mennonite scholars to write and publish, and facilitated approximately 50 publications, including The Politics of Jesus by John Howard Yoder and Yahweh is a Warrior by Millard Lind. In 1961 Dyck was appointed executive secretary of Mennonite World Conference (MWC) and served until 1973. He played a crucial role in articulating MWC's global vision. 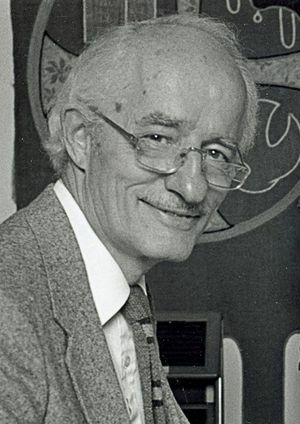 As the only Mennonite observer at the Vatican II sessions in the early 1960s, Dyck reported his observations in the Mennonite Weekly Review and helped to change Mennonite views towards Catholics. Dyck’s facility in languages, including English, German, French, Dutch, Spanish, and Low German, enriched his teaching, made him an ideal representative at Vatican II, allowed him to communicate with Mennonites world-wide as MWC executive secretary, and enabled him to include ideas and research from these various cultures in his own writings. During his years as professor at the seminary, Dyck also wrote and edited a significant number of books, and wrote many articles and book reviews. Two of his best known books are Twelve Becoming: Biographies of Mennonite Disciples from the sixteenth to twentieth centuries, and Introduction to Mennonite History, which has been used as a text book by high schools and colleges for many years. Together with Dennis Martin, he edited volume V of the Mennonite Encyclopedia. In addition to his regular teaching schedule and heavy administrative work, Dyck found time to be involved in local church and community affairs. He was on the founding board for Oaklawn Psychiatric Centre in Elkhart, Indiana, and served on the Elkhart YMCA board. He was also on the board of the Elkhart Urban League, whose mission was to enable African Americans to secure economic self-reliance. He helped start Church Community Services in Elkhart, an ecumenical organization that provides assistance for low income families. Dyck was a member of a number of Mennonite historical committees, both nationally and internationally, and served on conference committees. Dyck was an excellent teacher, making history come alive for his students. He had a wealth of personal experiences from which he could draw, was deeply committed to the Anabaptist/Mennonite faith heritage, and had a love for the church. He had an engaging style of lecturing and a great sense of humor. Cornelius J. Dyck made a significant contribution to the Mennonite community, and beyond, as teacher, scholar, and churchman. Dyck, Johannes J. Am Trakt; A Mennonite Settlement in the Central Volga Region. Winnipeg: CMBC Publications and Manitoba Mennonite Historical Society, 1995. Dyck, Johanness J. A Pilgrim People, Diary of Johannes J. Dyck 1885-1948, Diary of Johannes J. Dyck, Memoirs of Johannes D. Dyck Edited by C. J. Dyck and Peter J. Dyck. Winnipeg: Renata and George Kroeker, 1994. Friesen, John J. "Dyck, Cornelius J." MennLex V. http://www.mennlex.de/doku.php?id=art:dyck_cornelius_j. Klaassen, Walter, ed. Anabaptism Revisted: Essays on Anabaptist/Mennonite Studies in Honor of C. J. Dyck. Scottdale, PA and Waterloo, ON: Herald Press, 1992. Klassen, Mary E. "C. J. Dyck, Professor Emeritus, Died Jan. 10." Anabaptist Mennonite Biblical Seminary. 13 January 2014. Web. 4 December 2014. http://www.ambs.edu/news/CJ-Dyck-professor-emeritus-died-Jan-10.cfm. Mennonite World Conference. "In Memoriam: Cornelius J. Dyck (1921-2014)." 26 February 2014. Web. 1 July 2016. https://www.mwc-cmm.org/content/memoriam-cornelius-j-dyck-1921-2014. Dyck, Cornelius J. Hans de Ries: Theologian and Churchman, a Study in Second Generation Anabaptism. Thesis (Ph. D.), University of Chicago, 1962. Dyck, Cornelius J. Mutual Aid in a Changing Economy. Bluffton, OH: Association of Mennonite Aid Societies, 1963. Dyck, Cornelius J. Spiritual Life in Anabaptism. Scottdale, PA and Kitchener, ON: Herald Press, 1995. Dyck, Cornelius J. They Gave Themselves: Lessons in Christian Stewardship. Newton, KS: Faith and Life Press, 1964. Dyck, Cornelius J. Twelve Becoming: Biographies of Mennonite Disciples from the Sixteenth to Twentieth Centuries. Newton, KS: Faith and Life Press, 1973. Harold S. Bender: Educator, Historian, Churchman. By John C. Wenger, Carl Kreider, Cornelius J. Dyck, Erland Waltner, Guy F. Hershberger, Melvin Gingerich and others. Scottdale, PA: Herald Press, 1964. Dyck, Cornelius J. and Willard Swartley, eds. Annotated Bibliography of Mennonite Writings on Peace and War, 1930-1980. Scottdale, PA and Kitchener, ON: Herald Press, 1987. Dyck, Cornelius J. and Wilma L. Dyck, eds. Johannes D. Dyck: the Dyck, Isaac, Quiring, and Wiebe Story. Saskatoon, SK: Renata & Allan Klassen, 1987. Dyck, Cornelius J., ed. Introduction to Mennonite History: a Popular History of the Anabaptists and the Mennonites. Scottdale, PA and Kitchener, ON: Herald Press, 1967, 1981, and 1993. Dyck, Cornelius J., Dennis Martin, eds. Mennonite Encyclopedia, Vol. V. Scottdale, PA and Kitchener, ON: Herald Press, 1990. Dyck, Cornelius J., ed. A Legacy of Faith: the Heritage of Menno Simons; a Sixtieth Anniversary Tribute to Cornelius Krahn. Newton, KS: Faith and Life Press, 1962. Dyck, Cornelius J., ed. From the Files of MCC; with Robert S. Kreider, and John A. Lapp. Scottdale, PA and Kitchener, ON: Herald Press, 1980. Dyck, Cornelius J., ed. Responding to Worldwide Needs; with Robert S. Kreider, and John A. Lapp. Scottdale, PA and Kitchener, ON: Herald Press, 1980. Dyck, Cornelius J., ed. Something Meaningful for God; with Robert S. Kreider, and John A. Lapp. Scottdale, PA and Kitchener, ON: Herald Press, 1981. Dyck, Cornelius J., ed. Spiritual Life in Anabaptism. Scottdale, PA: Herald Press, 1995. Dyck, Cornelius J., ed. The Lordship of Christ: Proceedings of the Seventh Mennonite World Conference, Kitchener, Ontario, Canada, August 1-7, 1962. Elkhart, IN: Mennonite World Conference, 1962. Dyck, Cornelius J., ed. Witness and Service in North America. Scottdale, PA and Kitchener, ON: Herald Press, 1980. Dyck, Cornelius J., ed. Jesus Christ Reconciles: Proceedings of the Ninth Mennonite World Conference, Curitiba, Brazil, July 18-23, 1972. Elkhart, IN: Mennonite World Conference, 1972. Dyck, Cornelius J., ed. The Witness of the Holy Spirit: Eighth Mennonite World Conference, Amsterdam July 23-30, 1967. Elkhart, IN: Mennonite World Conference, 1967. Dyck, Cornelius J., trans. Confessions of Faith in the Anabaptist Tradition, 1527-1660; edited by Karl Koop. Kitchener, ON: Pandora Press, 2006. Dyck, Cornelius J., William E. Keeney, Alvin J. Beachy, eds. The Writings of Dirk Philips 1504-1568. Classics of the Radical Reformation, Vol. 6. Scottdale, PA and Kitchener, ON: Herald Press, 1992. This article is based on the original English essay that was written for the Mennonitisches Lexikon (MennLex) and has been made available to GAMEO with permission. The German version of this article is available at http://www.mennlex.de/doku.php?id=art:dyck_cornelius_j. Friesen, John J.. "Dyck, Cornelius J. “C. J.” (1921-2014)." Global Anabaptist Mennonite Encyclopedia Online. June 2016. Web. 19 Apr 2019. http://gameo.org/index.php?title=Dyck,_Cornelius_J._%E2%80%9CC._J.%E2%80%9D_(1921-2014)&oldid=163123. Friesen, John J.. (June 2016). Dyck, Cornelius J. “C. J.” (1921-2014). Global Anabaptist Mennonite Encyclopedia Online. Retrieved 19 April 2019, from http://gameo.org/index.php?title=Dyck,_Cornelius_J._%E2%80%9CC._J.%E2%80%9D_(1921-2014)&oldid=163123. This page was last modified on 31 January 2019, at 16:07.